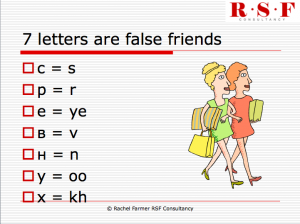 7 letters of the Russian alphabet are false friends, that is they look familiar but they do not make the same sounds as they do in the English alphabet! The Russian letters are on the left and the sounds they represent are on the right. 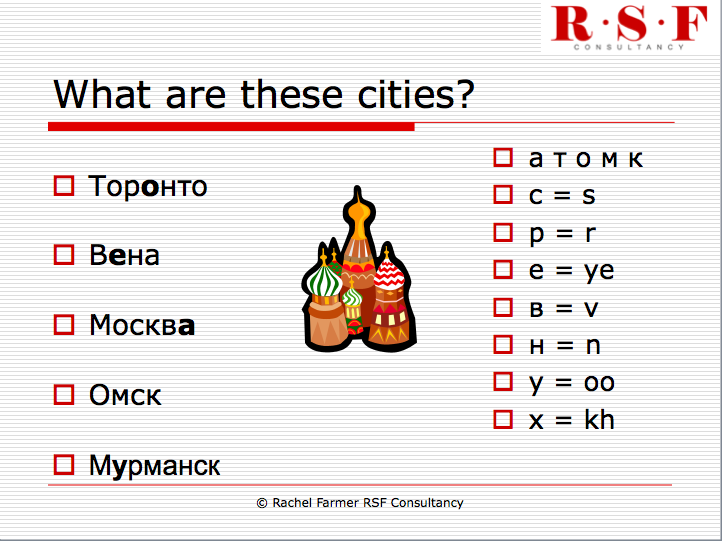 Now try reading the names of these world cities below, using all the letters you have met so far. Read them out loud, simply saying the sounds in order. One of the great things about the Russian language is that what you see is what you get – more or less! 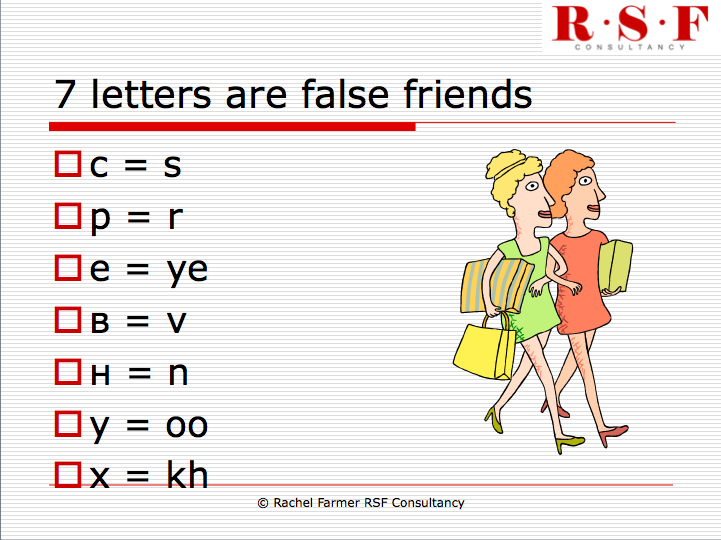 There are very few nasty spelling and pronunciation surprises like in English. Think how difficult it is in English for a non-English speaker to learn how to pronounce words containing “ough” for example. You can have plough, enough, cough, through, dough etc! In Russian, simply string the sounds together and you will be very close to pronouncing the words as you should. Don’t scroll down to see the answers until you have worked them out! Did you manage to read the words? 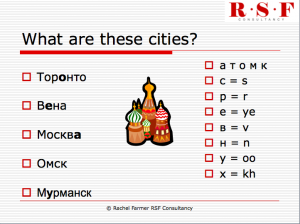 I hope you said Toronto, Vienna, Moskva (Moscow), Omsk and Murmansk. Well done!